Antwerp is one of the most iconic cities in Flanders, and it’s definitely worth visiting these 5 amazing spots in Antwerp. The city is most known for her beautiful architecture and has left a mark on the world map in the fashion industry. But there are also a few hidden gems, that will make you fall in love with this city like the locals. This is one of the typical old brown bars in the city. 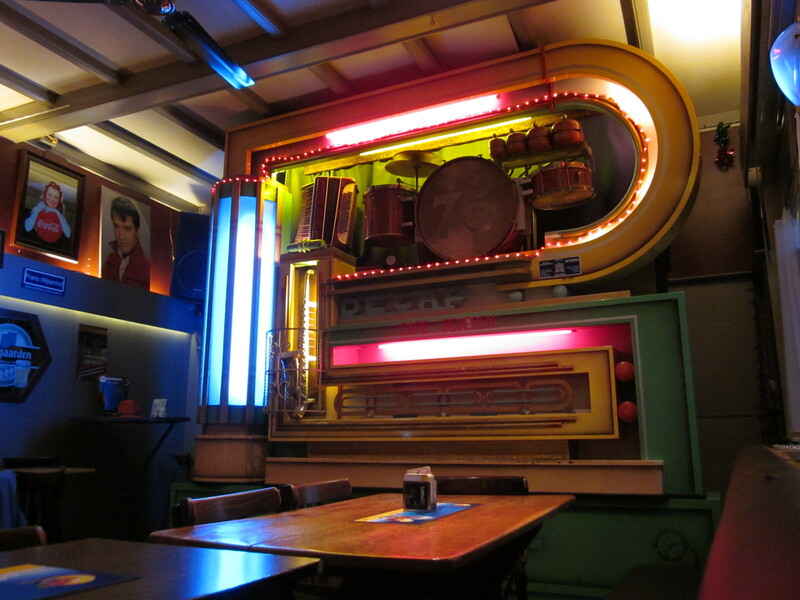 But what makes this place different is the old mechanical jukebox that goes back to the time of Art Deco. You can hear classic ‘schlager tunes’ blast through it all night. And with an equally crazy bunch of locals, you can be sure that you will have a night to remember. The Ruien, the name of the sewers in Antwerp. Like in most cities, streams, and sewers have zigzagged underneath Antwerp for many centuries. But, not in every city, you can explore them like this. Visitors can go underground and see the former network of waterways. And for a truly unique experience, you can discover The Ruien by boat. 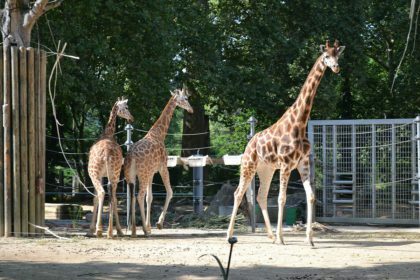 Instead of getting out of your train and going straight to the Zoo, take a small detour. Head for the square at the crossing of the Ploegstraat, Ommeganckstraat and Provinciestraat. 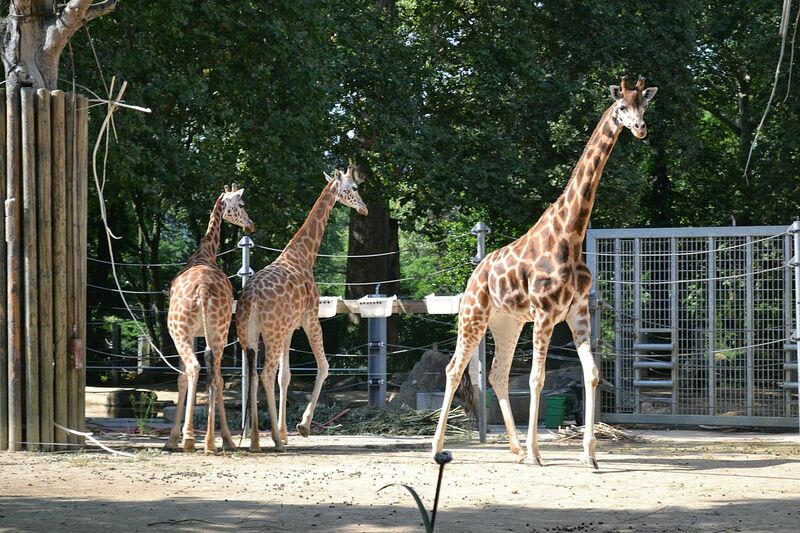 The giraffe’s heads literally pop over the wall. The previously not named square is officially called “Giraffe Square” now among the locals. 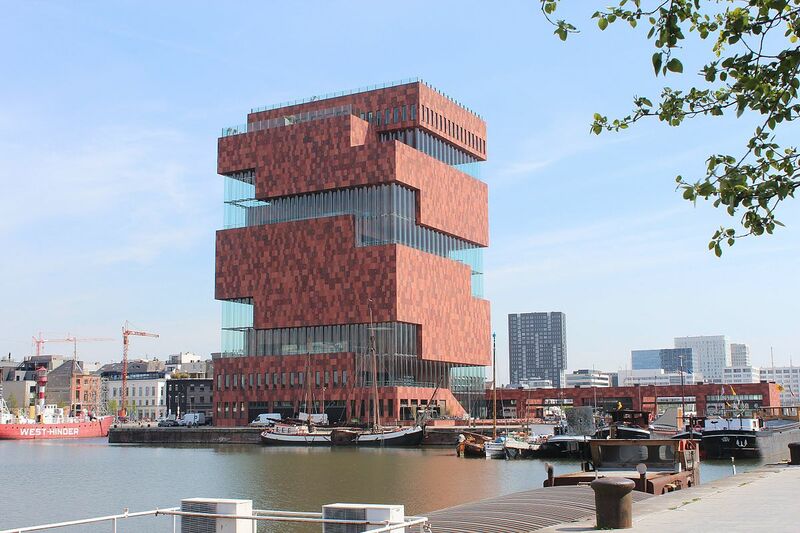 The MAS museum is located in the hip and upcoming part of Antwerp called ‘Het Eilandje’. It’s not an ordinary museum, but an amazing looking architectural building that you can’t miss when you are visiting ‘Het Eilandje’. One of the best perks of this museum is that you can go all the way up to the roof and get a stunning view over a part of Antwerp. 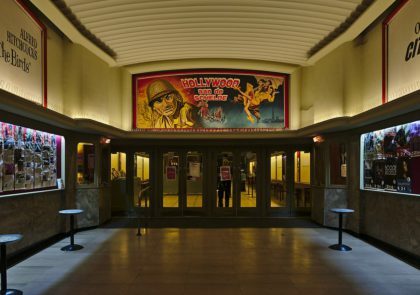 ‘De Roma’ is an old abandoned movie theatre from the 1920s, but since 2003 people have given it new life. Thanks to a lot of volunteers and help from local people, it’s once again a place with a lot of energy. 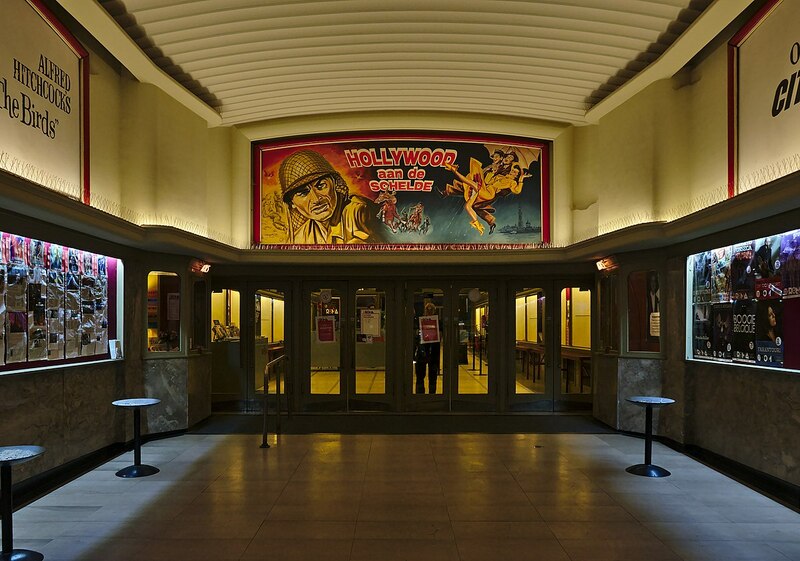 Lectures, screenings of old movies and even concerts: ‘De Roma’ offers many different things, so you can be sure there is something you will like. Of course, there are much more hidden gems located in Antwerp, but we advise you to discover them for yourself. You can get lost in the city streets but might find something amazing after every turn. Enjoy these 5 amazing spots in Antwerp!